Welcome! After our spring break from blogging, we return with an exciting book tour. I LOVED the first book in The Artisans series and was stoked to be included in the tour for the second book. Here is our post complete with review and there's a tour-wide giveaway for everyone to enter. Have a great day and no matter what, get in some reading! Raven, Gideon and Cole are back! The trio from one of my favorite YA fantasy books of 2015 (my fangirl gushing review can be found HERE) have returned and I am thrilled to rejoin them as their adventures continue. 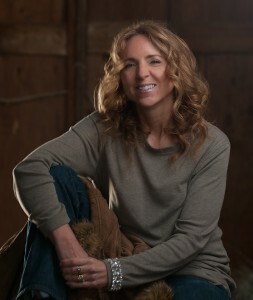 Okay, let me first say that author Julie Reece has once again hit it out of the ballpark. Way out. We have not one but three narrators for this book and each voice is distinctively drawn. At the end of The Artisans Raven, Gideon and Cole have battled The Void and lived to tell about their harrowing experiences. But one has to worry and also wonder about the evil Void and the question of magic. Is it really gone? Our characters soon find out and lucky readers get to tag along as the mayhem continues. Gideon still broods, Raven is her cool self and Cole retains his swoonworthy-ness. Don't look for any secrets being revealed here. I'm not telling. 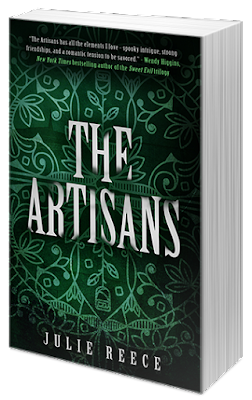 I will tell you one thing: if you haven't The Artisans, grab a copy along with The Paladins, and put aside some free time to do nothing but read. The Southern Gothic setting of this series really helps increase the creep factor and the author's vivid and intensely visual imagination enables us to take this wild trip with a cast of lovable characters. Let the magic begin! Thanks to Month9Books and publisher Georgia McBride for allowing me to feed my YA addiction. Please continue to satisfy readers needs for wildly imaginative, highly creative, and unbelievably distinctive titles. I know when a title is published by Month9Books I can prepare for a truly amazing reading experience. Book source: I received a promotional copy in return for my honest opinion. 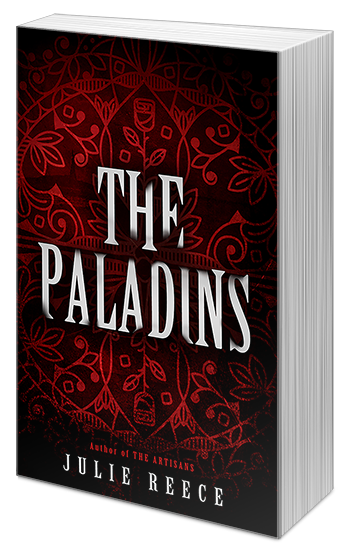 Five (5) winners will receive a digital copy of The Paladins (The Artisans #2) by Julie Reece (INT). Contest ends May 20, 2016.